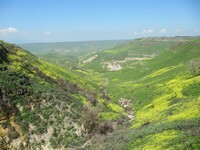 Look at Syria from the Golan Heights and ride down to the Sea of Galilee. 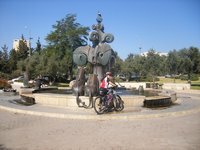 Israel is a cyclist's heaven! Varied landscapes, climates and people, history, religion and culture â€“ itâ€™s perfect for a mountain biking vacation. 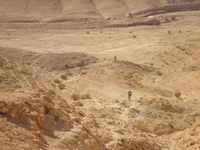 Israel is only 424 km long and 114 km wideâ€”about half the size of The Netherlands or about the size of New Jersey. Everything is so compact and closeâ€”can it get any better for a biker? Israel is packed with history and historical sites. 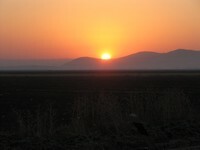 On our MTB tour we will be visiting many UNESCO World Heritage sites, each unique in its own way. 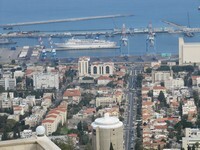 The White City of Tel Aviv represents new urban planning while the Old City of Jerusalem with its Walls and underground passages and waterways, represent thousands of Years of old city architecture. 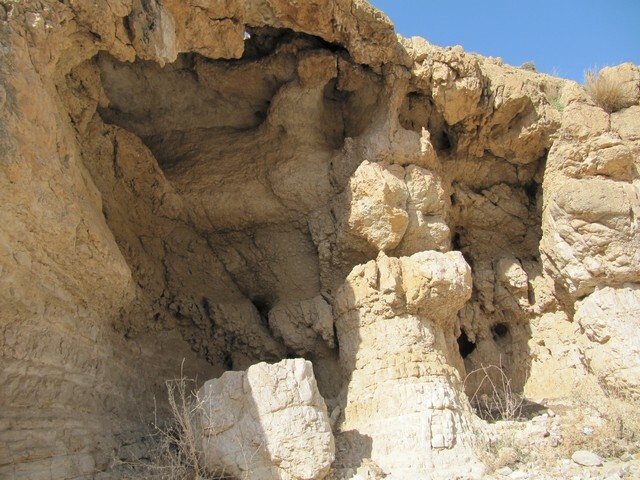 The Biblical Tels of Megiddo and Hazor represent a connection with the Bible while the Bahai Holy Places in Haifa with their unbelievably beautiful gardens are connected to the Bahai belief. In this young country with our history and culture dating back thousands of years, the new and old blend together in a most perfect way. You will recognize this after visiting the two main cities of Israel. Tel Aviv is youthful, vibrant and cosmopolitan and has the best nightclubs in the Middle East; Jerusalem is more conservative, ancient and sedate. The years of living in the Diaspora (outside Israel) have resulted in a blend of cultures which mix together the best parts of the world. We have the opportunity to explore this culture on grass roots level, as we spend many nights in kibbutzâ€™s â€“ Israelâ€™s 60 year old living experiment in community life. 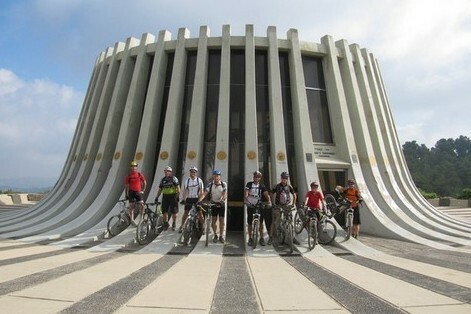 After all, it is not only biking that you will be experiencing on this cycling tour in Israel. A good company of fit and active people guarantees enjoyable and memorable days and evenings. A pint of Maccabee beer washes the dust down your throat after a good daysâ€™ biking. Whenever thereâ€™s a big hotel or airport built nearby a tourism destination, the place will be â€œspoiledâ€�. Tourists will follow in hordes. We will be taking you to places where mass tourism is still kept at a minimum, well â€“ as much as possible. Donâ€™t expect empty streets in Jerusalem! We prefer small hotels, guest houses and Israeli kibbutzim where you will get to experience first-hand an interaction with the locals. 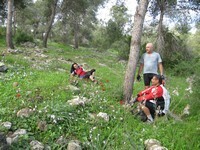 The accommodation is clean and depending on the kibbutz there are either en-suite or shared bathrooms but no frills. There are no gyms but sometimes the Kibbutz swimming pool may be available for our use. If you are healthy and practice an active life-style-- this is the tour for you! The rides require intermediate experience in biking, We will be typically riding about 35 km a day, depending on the terrain, (sometimes less). This means 4-8 hours riding per day including lunch stops, drinking and energy-bar stops and as well heaps of sightseeing pauses to take photos. You wonâ€™t have to carry your luggage (except for the day-pack) and major spare parts with you-- a support vehicle will be with us most of the tour. In case anything happens, there is always a place for you in the car or bus. We typically split the group into a couple of smaller groups depending on the riding skills of the cyclists.